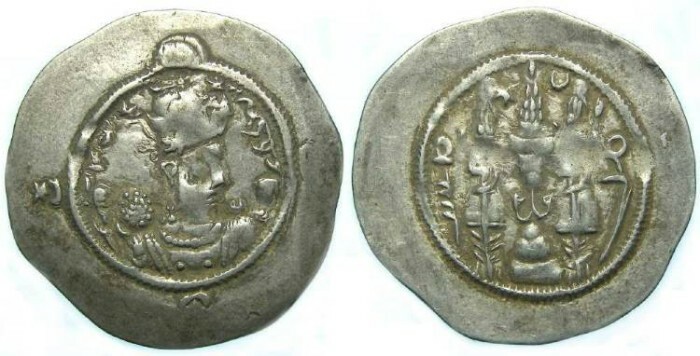 Sassanian. Hormazd IV, AD 579-590. Silver drachm. Date : year-9 (AD 587). Size : 31.5 x 32.6 Weight : 4.16 grams. Obverse : Head of Hormazd IV right, with an inscription naming him around. Reverse : Fire altar flanked by two attendants, with the date to the left, and mint to the right.